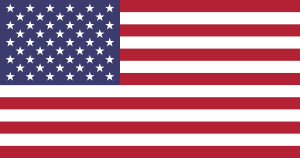 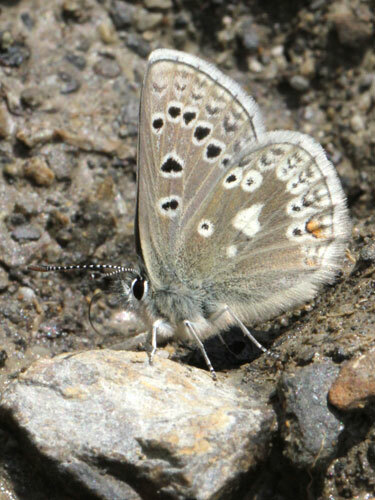 A complex of what is now considered to be three species widely separated geographically. 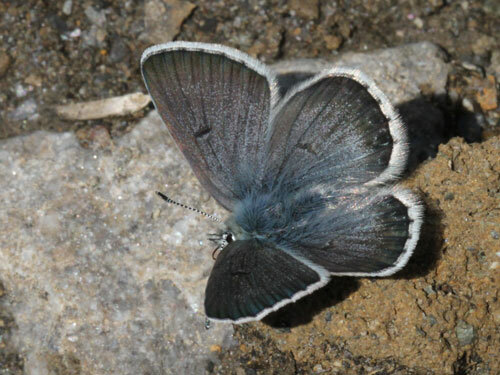 The glandon blue, A. glandon, is the taxon from the Alps and the Pyrenees. 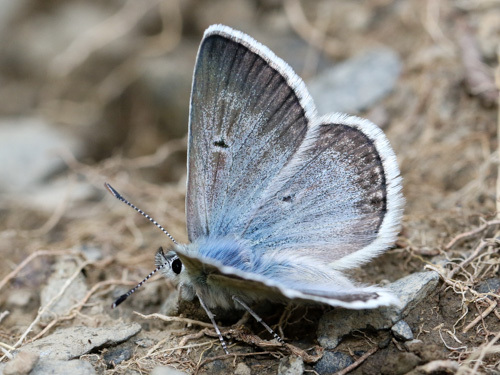 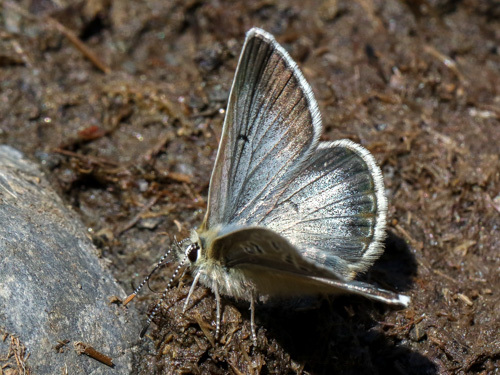 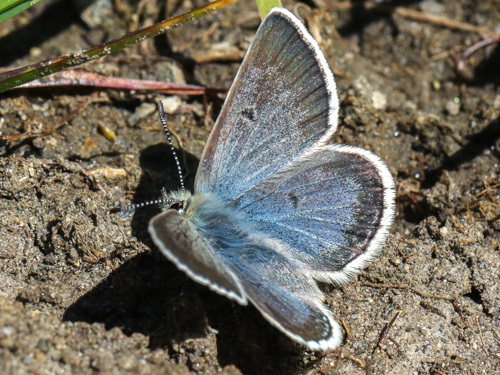 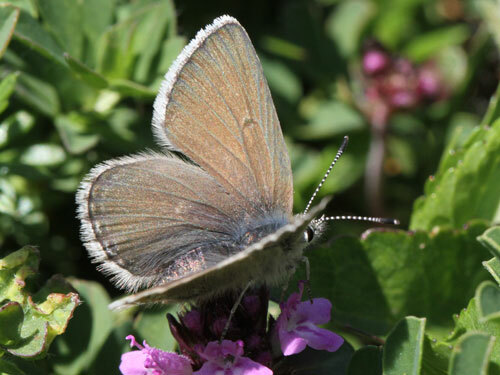 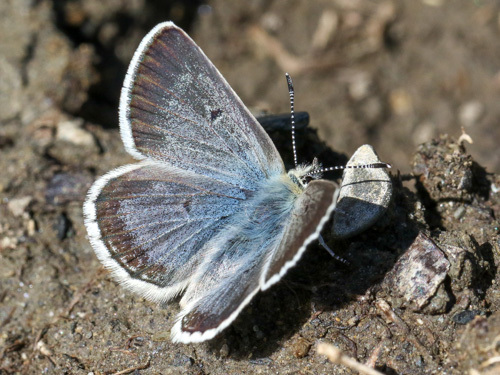 Identification & Similar species: A pale shining blue. 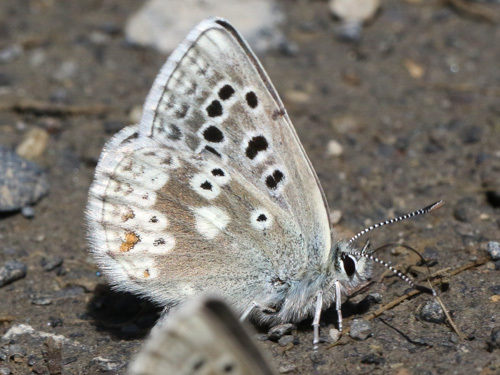 Only 2 species overlap in range that could be confused. 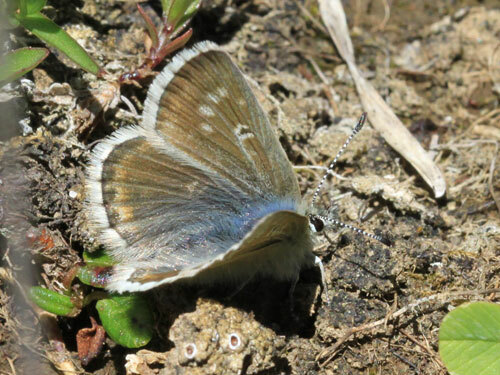 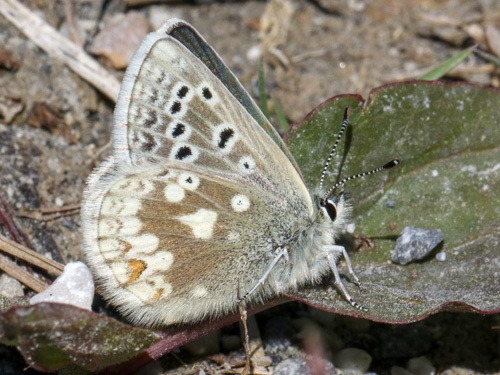 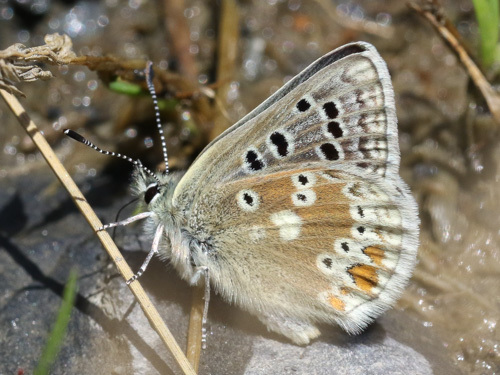 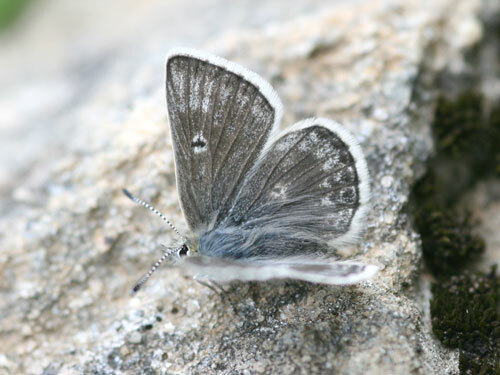 In the Alps and the Pyrenees, the more local and less frequent silvery argus, A. nicias, has fine underside markings and a white stripe. 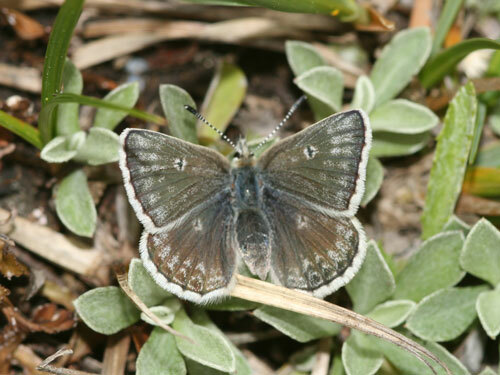 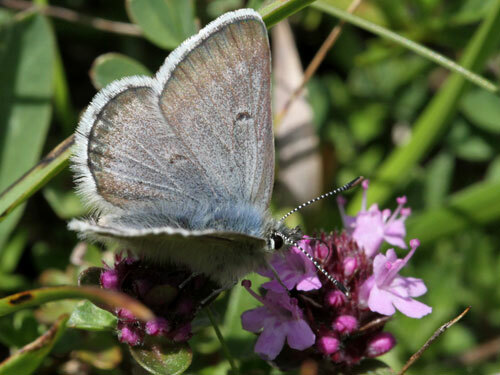 In the Pyrenees, the very local but often common Gavarnie blue, A. pyrenaicus, may also fly in the same locations. 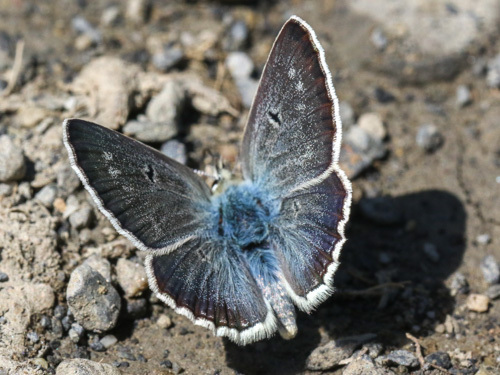 It's underside forewing submarginal spots are bold black not faint grey-brown and the black markings on the underside hindwing are relatively greatly reduced or absent. 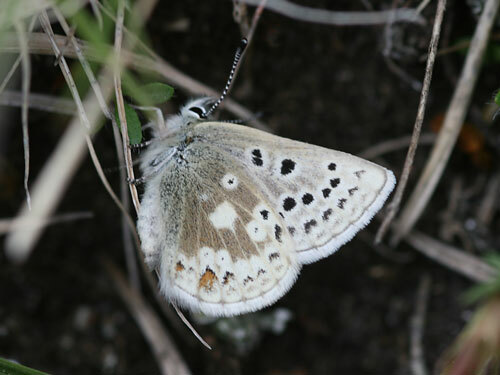 The two "spin off" species do not overlap in distribution. 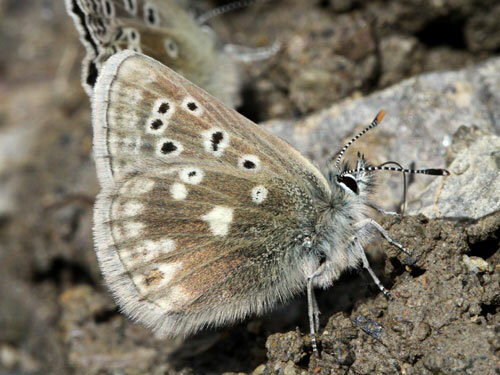 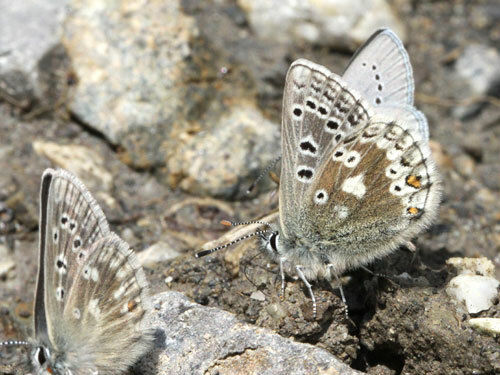 They are the Zullichi's blue from southeast Spain and arctic blue from north Arctic, A. zullichi & A. aquilo. 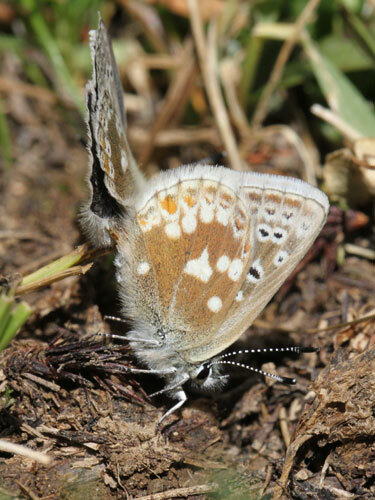 Distribution & Flight: Alps and the Pyrenees at sub alpine and more commonly alpine levels. 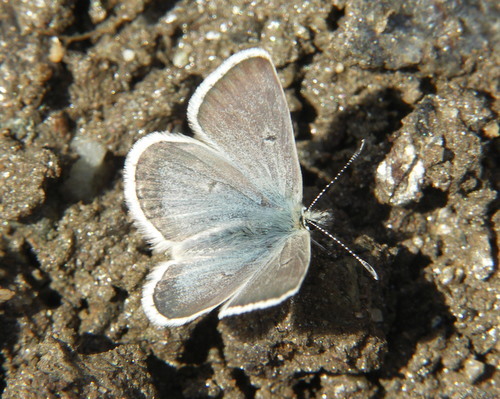 Single brooded in summer - late June to early August. 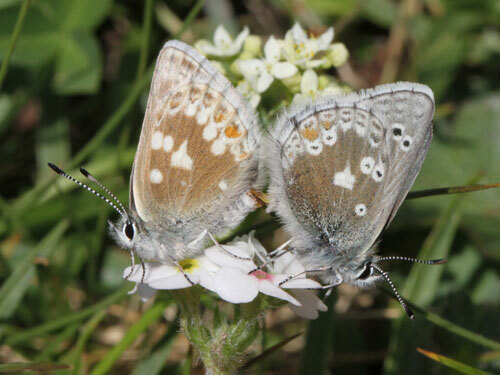 Habitat & Behaviour: Alpine grasslands with flowers. 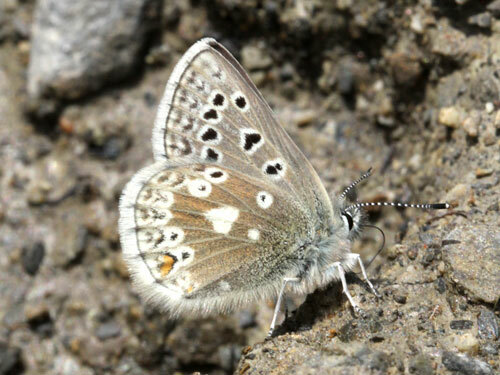 Often at cow pats, streamside mud or seeps from cliffs where males in particular take salts.